The cold snap has left the pitch in an unplayable conditon at East Court and an early inspection on Saturday morning saw the fixture called off. Overnight snow, rain and sleet has left the pitch partly covered and the rest waterlogged according to the home club. A statement said: "Unfortunately, the weather has beaten us and we have had to postpone the fixture. We will confirm a new date as soon as possible." 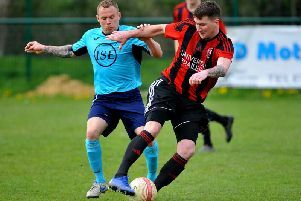 The derby clash was set to see fourth-placed Horsham bid to continue their play-off push against a side they had beat 3-1 at home back in October. It was the start of what Hornets manager Dominic Di Paola had called their 'toughest month' as they tackle a tough February.